Isoform H of acetylcholinesterase (AChE) is located on the outer surface of erythrocytes; its inhibition with organophosphorus compounds (OPC) may impair structural and functional properties of erythrocytes. 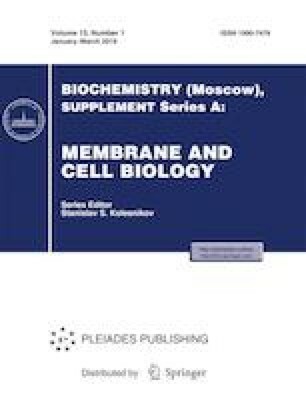 The aim of this study was to elucidate the effects of paraoxon (POX) on the osmotic resistance, the level of reactive oxygen species (ROS), intracellular esterase activity, and externalization of phosphatidylserine in rat erythrocytes under oxidative stress induced by tert-butyl hydroperoxide (tBH). It has been found that POX did not affect the level of ROS and the activity of intracellular esterases; however, under conditions of induced oxidative stress, it potentiated the effects associated with impairment of the erythrocyte deformation characteristics and provoked cell death associated with externalization of phosphatidylserine. The effects of POX were not caused by the solvent DMSO and were observed only in the calcium containing medium. The results obtained with the in vitro model on the combined effects of the primary specific and secondary nonspecific factors on erythrocytes may be of help in the development or improvement of combined therapeutics for acute poisonings and the prevention of their consequences. Experiments on the Navios flow cytometer have been conducted in the SUC of the IEPB RAS. The work was supported by the Russian Science Foundation (project no. 16-15-00199).